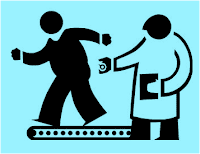 Occupational Therapy is a specialized branch of allied medical health sciences to prevent, cure, treat or rehabilitate physical, mental and psychosocial illness/impairment or dysfunction. It includes investigations through appropriate examination or assessment tools to interpret and establish Occupational Therapy diagnosis. An Occupational Therapist is involved with objective planning and execution of therapy through specialized skills for the purpose of preventing, alleviating, correcting or limiting - acute and chronic illness, impairment, dysfunction or bodily malfunction. Bachelor in Occupational Therapy (B.O.Th.) is a four and half year’s undergraduate degree program consisting of four years of coursework and six months compulsory internship at end. The notification for online examination i.e. Preliminary Exam and Main Exam for the Common Recruitment Process for selection of clerical posts in the 19 government banks has been released. 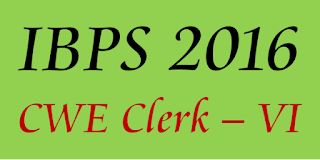 IBPS 2016 CWE Clerks – VI will be conducted in two stages – Preliminary Exam and Main Exam. IBPS 2016 CWE Clerks – VI Preliminary exam dates: 26th Nov 2016 & 27th Nov 2016, 3rd Dec 2016 & 4th Dec 2016 (if required). IBPS 2016 CWE Clerks – VI Main exam dates: 31st Dec 2016 & 1st Jan 2017.